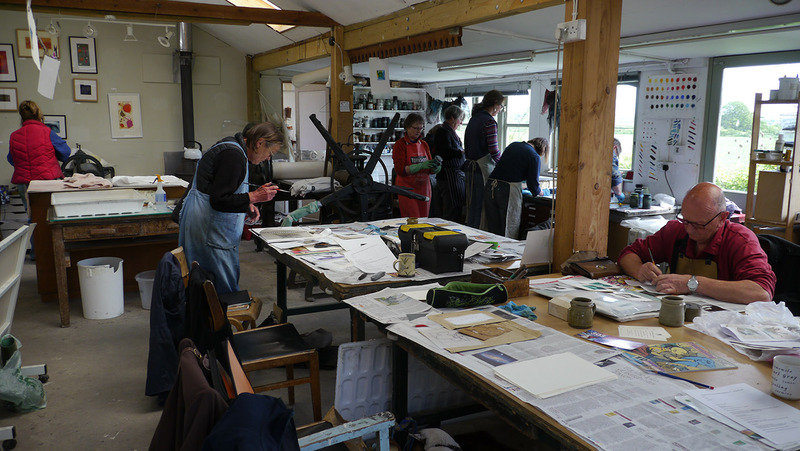 My studio is a fabulous place for courses, particularlly in the summer when the light is wonderful, and it’s warm (we hope). 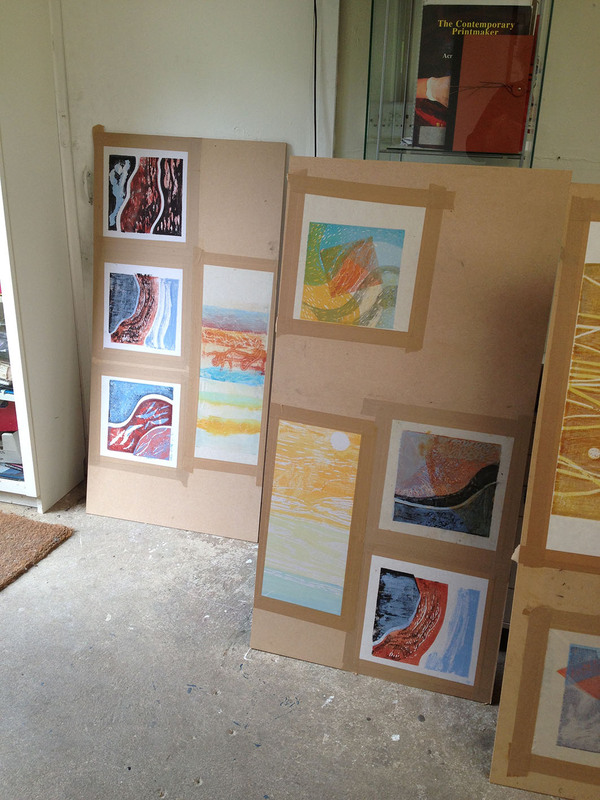 Etching can even happen outside if it’s very warm, or if we need to use the large etching bath. 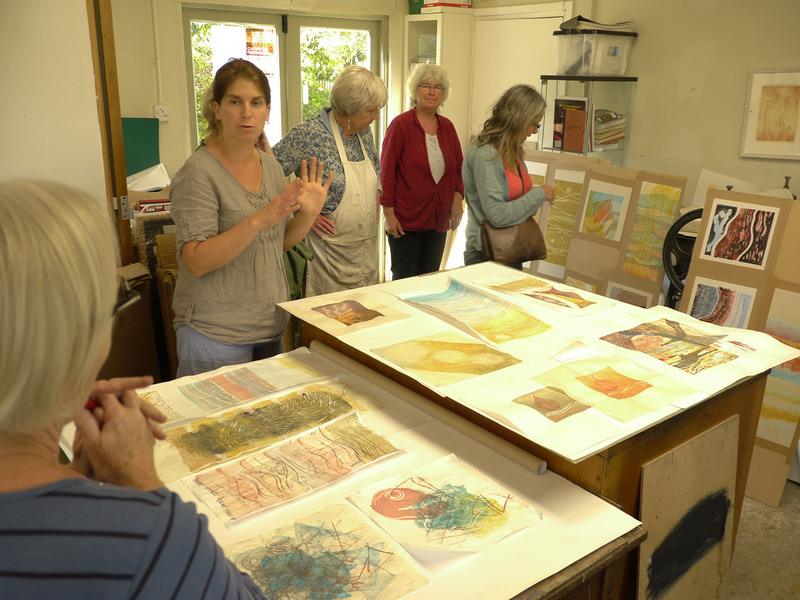 Here you see my regular Monday course beavering away, and here are the sort of etchings that you might make during the 3 day summer course (these were made by students in Venice a couple of years ago, over a weekend, so not even 3 days). 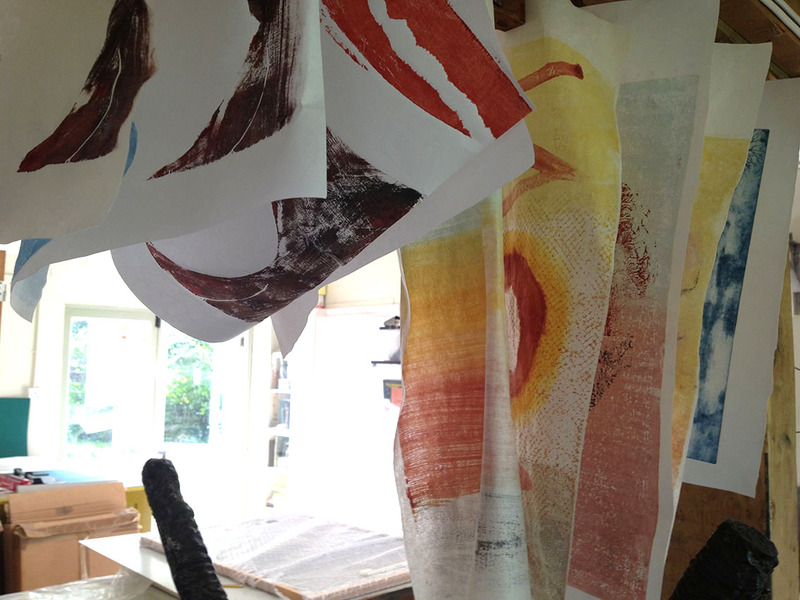 I’ve decided to offer a basic book binding course this year. The basics are easy to acquire and go a long way: I still often use the simple fold book for preference, but it’s good to add a few others for a different approach. This one is Single Coptic stitch, which is learnt in a day, though it requires practice to perfect it. 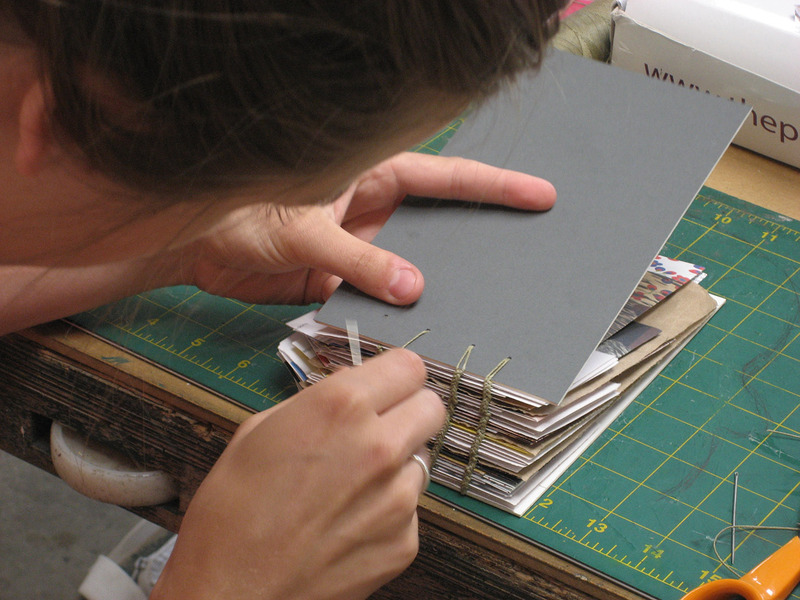 It’s a hugely useful binding: as you can see, it’s a way of attaching single sheets, and it opens out flat. and here is Robin (and me) with some of the students at the end of the course. Finally, click on the link below for details of fees, dates and how to enrol.